Pretty easy to make and only about 3″ high. 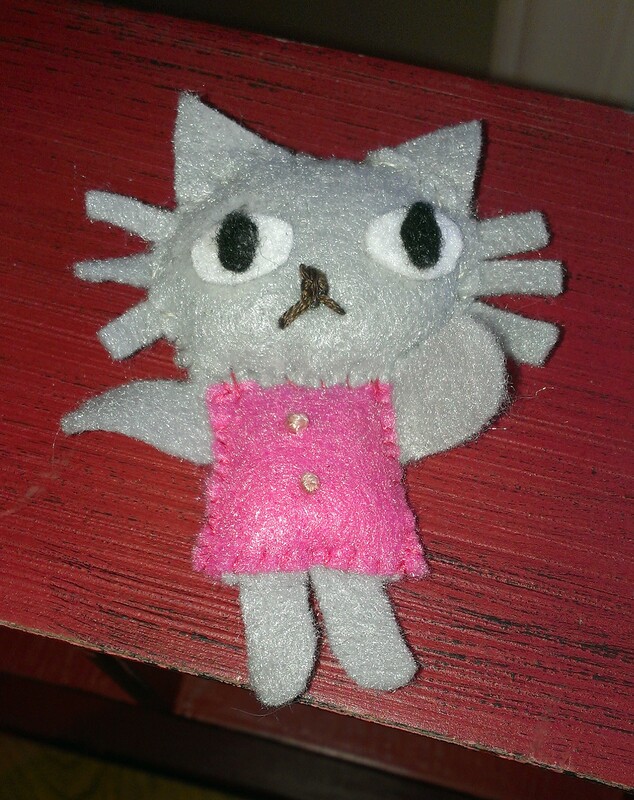 I made this from craft felt and it took about 30 minutes from start to finish. The pieces are a bit small, so I enlarged the pattern by 15% to make it easier. These would make really cute ornaments or package decoration! You could also glue a pin on the back so it could be a cute fashion accessory! This entry was posted in Dolls and Softies, For Kids, Sewing. Bookmark the permalink. This is very cute. I am into cross stich at the moment. I can’t work on too many projects at one time.